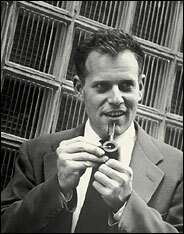 Philosophy buffs will already know about Sidney Morgenbesser, (September 22, 1921 – August 1, 2004). A Professor at Columbia University, Morgenbesser’s sharp wit has produced more than a few great stories. He is particularly known for a single moment of shear brilliance that outstrips the value of many published volumes. J.L. Austin, a prominent philosopher of language, had been giving a lecture, so the story begins. Austin claimed that two negatives could make a positive in many languages, but nowhere did two positives make a negative. What a brilliant story. I had to laugh at that last line. Ha! I love it. I’ll have to share this with my husband.